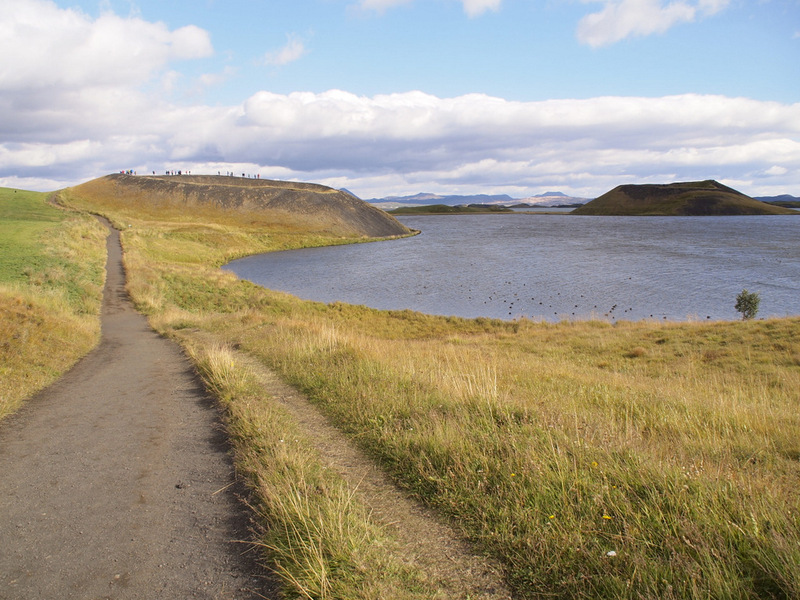 The Canyon of Doomed Birds is not something you’ll find on any Iceland’s Top Destination list. It’s because I made it up. But the place does exist. 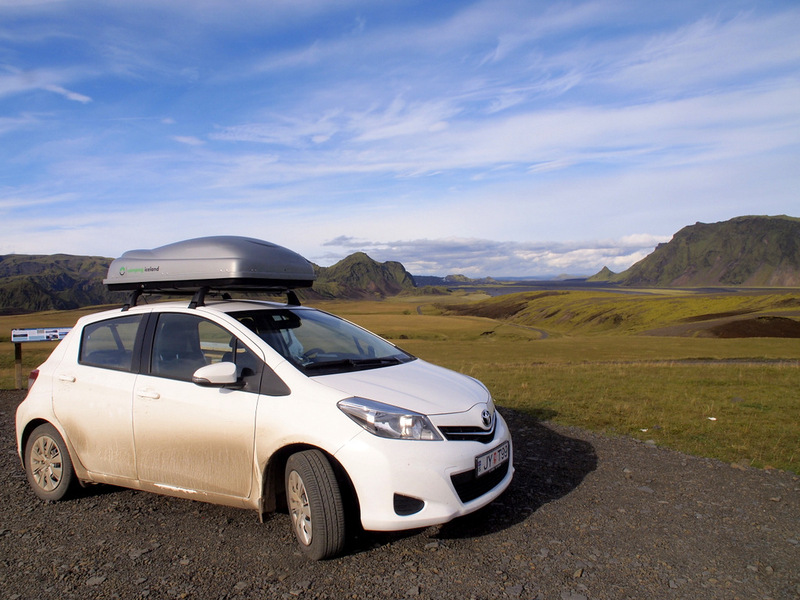 After we picked up our rental car from Camping Iceland, we headed west. Among the mist and rain, Jack spotted a crack that splits the cliff side completely in two. The opening of the crack was narrow, barely a body’s width. From the road it looked like it went deep info the mountain. Who knows how deep it actually goes into the mountain. 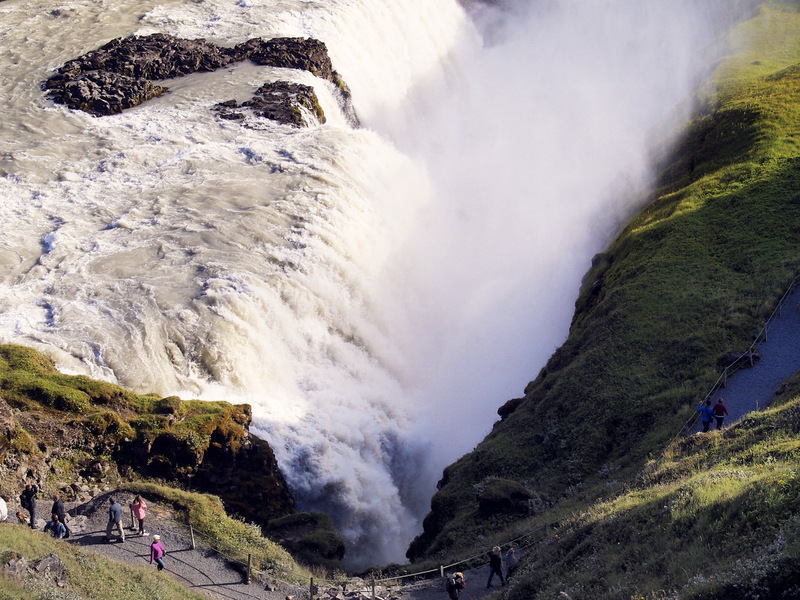 A placard informed us that its official name is Rauðfeldar Canyon. But considering what we were about to encounter, Canyon of Doomed Birds seemed more fitting. As we approached the opening we noticed something odd and disturbing. The little river that came out of the canyon was littered with dead birds of varying degrees of decomposition. As we scrambled deeper into the narrow crack, we found ourselves stepping over one carcass after another. Cue the soundtrack – if it had been a movie, I’d be telling us to get out of there. Because you know, in the movies, following a trail of dead animals never end well for the protagonists. Then we saw something even more disconcerting thatn dead, decomposing birds: live ones. We tried to squeeze past without disturbing them. Unfortunately, it was so narrow that often we had to step close to the birds, causing much distress to both parties as the birds squawked and spit and tried to waddle away. It was obvious that they were trapped. They will soon become the very lumps of feather and bones we were carefully stepping over. A trapped bird. You can see one of the decomposing birds on upper left of the pic. After awhile all I wanted was to get out of the place. Part of me wanted to keep going. I wanted to see where or if this ends. The other part of me thought that if I saw another bird doomed to die a slow death, I’d just burst into tears. So if you’re traveling around Iceland, 2 hours or so west of Iceland on the Ring Road, keep an eye out for the Canyon of Doomed Birds. Maybe you can help shed a light on the mystery of how those birds ended up there. I’m so glad I found your site and post on this creepy Troll grave!!!! I felt exactly the way you did (way too creeped out when I saw the waterfall/ice cave) and literally had to turn around (I was also by myself!!! ), the dead birds freaked me the heck out and I definitely would have cried if I saw live ones! What’s creepier is that when I finally got out of there, I realized that my sunglasses were gone from the front of my shirt, and ALL of my GoPro pictures were distorted!